ANR is a man who believes that women are the reason why men fall behind in life. He is a college student who lives in a hostel with friends. Jayalalitha is a fellow student who always had feelings for ANR even when he doesnt reciprocate. 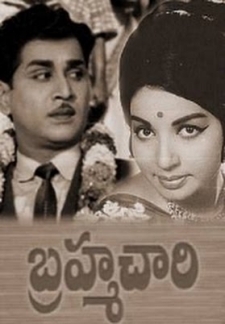 ANR and Jayalalitha agree to play a part in an act to save their friends relationship. ANR and Jayalalitha pretend to be married for the sake of their friends. How this funny drama takes twists and turns is to be watched. 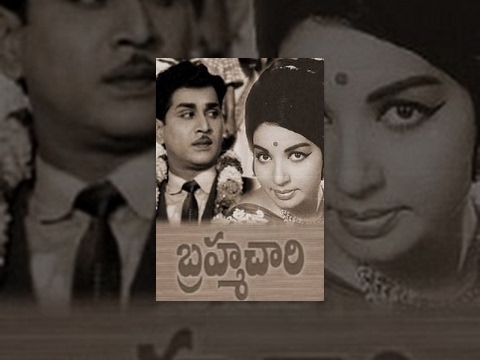 © 2018 Scratchu.com Brahmachari - 1968 | Akkineni Nageshwara Rao, Jayalalitha J, Chittor V. Nagaiah, Padmanabham, Prabhakar Reddy, Sarathi, Nagabhushanam, Pushpakumari, Sukanya, Suryakantham - Brahmachari - 1968 (1968) | Telugu Movie | 5.0/10 | Synopsis : ANR is a man who believes that women are the reason why men fall behind in life. He is a college student who lives in a hostel with friends. Jayalalitha is a fellow student who always had feelings for ANR even when he doesnt reciprocate. ANR and Jayalalitha agree to play a part in an act to save their friends relationship. ANR and Jayalalitha pretend to be married for the sake of their friends. How this funny drama takes twists and turns is to be watched.... Watch Online!! !